Eddy Current Testing - Non Destructive Testing | SCI S.A.
One of the most reliable non-destructive tests for detecting defects when inspecting tubes and piping is to use induced electrical currents, known commonly as Eddy Current Testing (ET). Eddy Current testing is used to identify surface and sub-surface defects in conduct materials. This non-destructive testing method works on the principle of electromagnetism as a means of inspecting equipment that reveals damage, corrosion or cracking in tube nests. The criticality level of these items is normally very high and any failure they undergo usually incurs unscheduled downtime, with the financial consequences of lost production and other related costs. 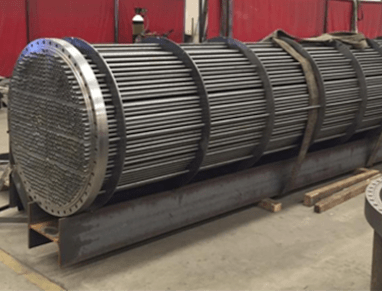 Heat exchangers usually fail due to leakage from pipes in the tube nest, which can be caused by a multitude of factors, such as internal and/or external corrosion, erosion, mechanical impact, cracking under stress because of rust, or other reasons or failures in the expansion phase. In order to monitor the integrity of these items and, more specifically, of the tube nest, SCI uses various NDT inspection techniques, although the general basis is the electromagnetic Eddy Current technique. For this purpose, SCI Control & Inspección is proud to be able to count on the support of our technological partner from Germany, ec-works, a world leader with extensive expertise in this type of inspection service. Inspection of tubes and pipes using IRIS ultrasonic pulse/echo immersion technique, in general applicable to all types of ferritic and non-ferritic materials. Computer software with powerful image interpretation aids. The results of the inspection are delivered in the form of colour-coded Tables and Graphs (Maps of the Flue Plate), which indicate approximate (% loss compared to nominal level of thickness) or exact (IRIS) remaining thickness in the pipes (i.e. 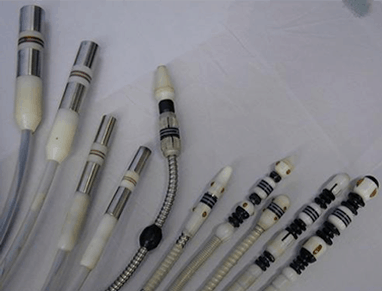 whether there are any holes or cracks), so that the most appropriate mitigating or repair measures (plugging, re-tubing, partial or total sleeving, etc.) can be taken. PSEC (Partially Saturated Eddy Current) technique, applicable to ferromagnetic materials, which enables specific, low-volume defects (isolated pitting) to be detected and metered. This is the most effective and reliable technique for inspecting finned pipes in air coolers. Ultra-Fast System for Eddy Current Testing of Condensers: By using push / puller mechanical equipment, probe insertion and extraction speeds can be increased remarkably, with inspection testing being carried out at a rate of 5 to 8 tubes per minute, thus reaching a productivity level of over 3,000 tubes per 10 to 12-hour shift. Furthermore, the results can be analysed immediately, thus reducing inspection times even more drastically. Inspection times (productivity) vary according to the technique used, the length and the state of cleanliness of the tubes or pipes, the means of access to the tube nest, the type of defects, etc. On turbine blades and shafts. Detection of Stress Corrosion Cracking in stainless steels, Inconel columns, reactors and pipes, e.g., corrosion cracking due to chloride-induced stress. 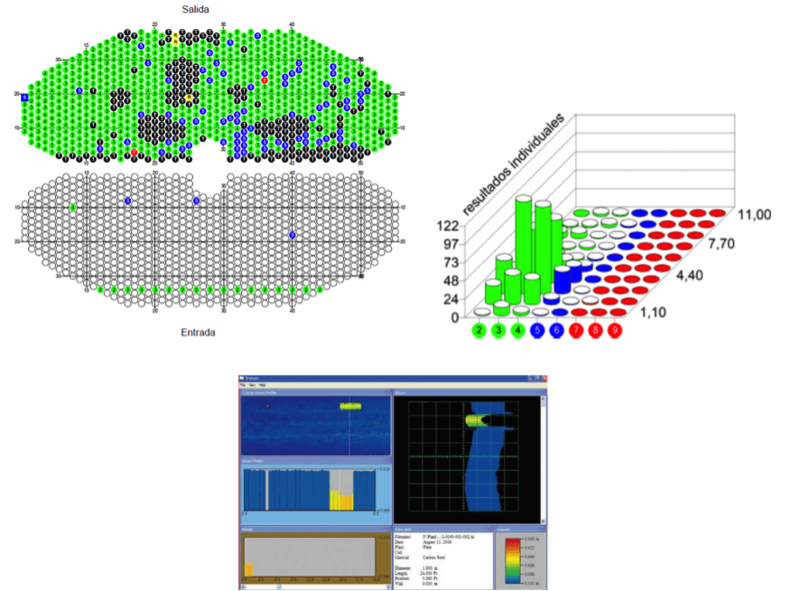 Replacement of the crack inspection method using penetrating liquids in crowns and gear sprockets in the cement and mineral resources industries with the rapid Eddy Current technique. Inspection of centrifugal separators in sugar mills. 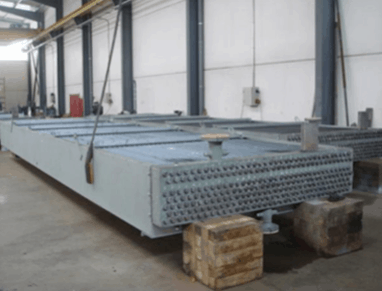 Inspection of welds in coated and non-coated construction structures, e.g., cranes, drill rigs, rolling stock, train bogies and chassis. Crack detection in areas with corrosion pitting on molten or forged steel valve housings in nuclear power plants. Evaluation of crack depth in the casing of the main feed water pumps in nuclear power plants. Evaluation of crack depth in marine propellers. Crack detection in internal rotating parts of very high-pressure piping (5000 bar) for in-service inspection in the chemical process industry. Inspections of bolt threads on components to detect and evaluate cracks and corrosion in the groove and walls of threaded parts. Detects surface characteristics in the items of equipment under inspection. Reveals internal and external defects, and their respective distinctions. Can be used to inspect different pipes and tubes. Can be used over paints and coatings, with no need for surface preparation. Uses electromagnetic energy to avoid contact with test pieces. This method adapts to several applications within industry, as its physical and metallurgical variables are flexible. Little need for human presence. Recognised by most quality standards. Liquefied Natural Gas (LNG) plants. Air-cooling systems, e.g., large office buildings, hospitals or cruise liners. Sugar and other Food Industries. Manufacturers of Tubes / Pipes and Heat Exchangers. Mining and Basic Minerals Industry. 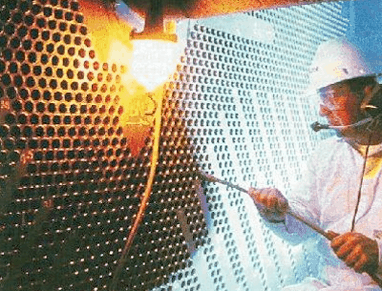 At SCI, we have over 30 years’ demonstrable experience in Non-Destructive Testing and are specialised in the application of Eddy Current testing. We have suitably qualified personnel and appropriate technical equipment to solve our clients’ incidents and queries. Tell us about your inspection requirements for heat exchanger tubes and we will try to offer you the most suitable solution. Please contact SCI by telephone (+34 918844393/ +34 902888831) or by e-mail at sci@scisa.es. You can also visit one of our Sales Offices Spain, France, China, USA, MExico, Peru or Chile.